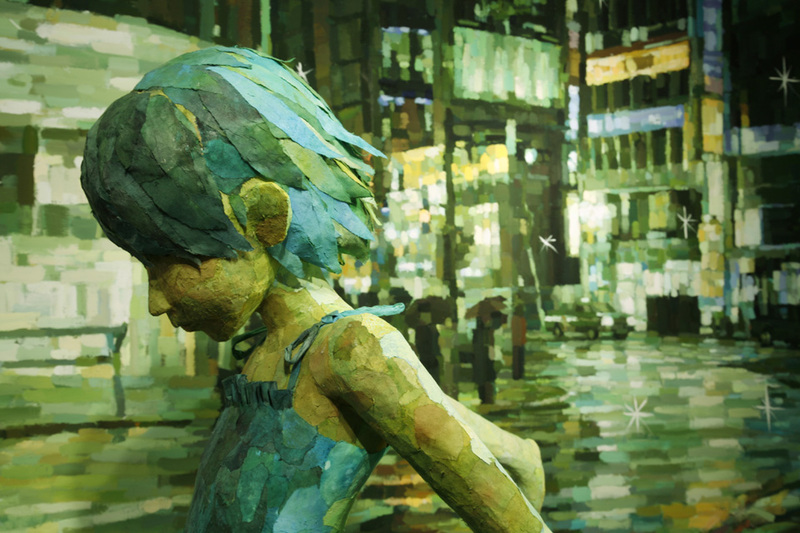 This week I've been inspired by the incredibly talented Shintaro Ohata. His whimsical works have a fun quality and a understanding of color that is to die for. With a zoomed picture, you think that his work is a wonderful painting. 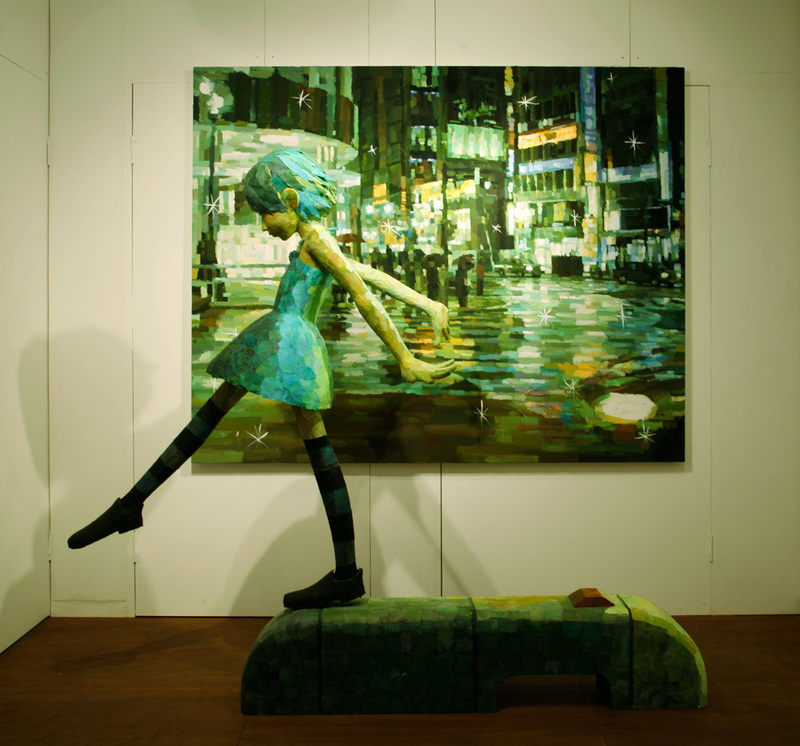 But zoom out, and you realize that it's a merging of a lovely painting and an even lovelier sculpture. Often focused on a playful moment, these works really capture the day to day and make it into something magical.